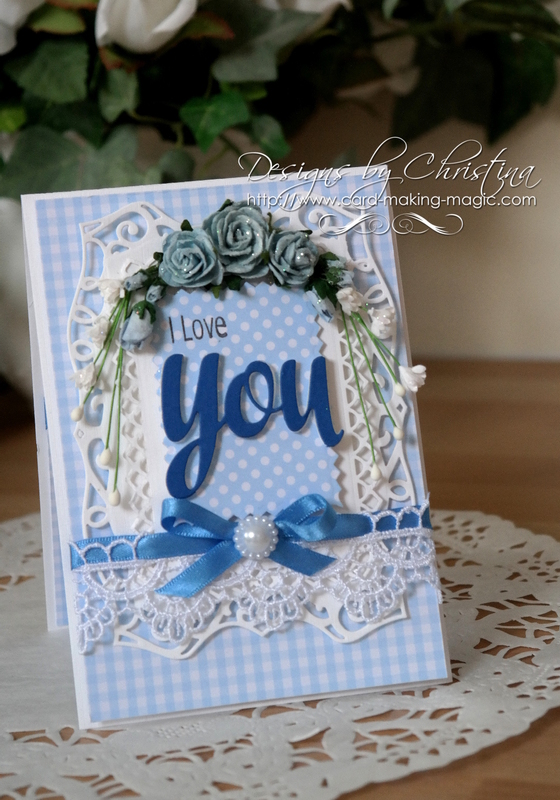 There are many card folds on the website but the Easy Card Fold is one you will use over and over again simply because it is easy. No special skill is needed to produce beautiful cards but when you are new it helps to have a little guidance along the way. The website is designed to help you through all the steps you need to take and of course folding the card to get a good base is the best place to start. I have added many types of folds and some of them use dies. I know that to make the filigree hinge it is sometimes difficult to get the die through two layers of card. It is always better to score the card as this will stretch the fibres in it and make it easier to fold. It works really well with fancy edged dies as long as you take the time to marry up the shapes completely to give a neat effect. Maybe it is something you would like to try and if you do don't forget to add your cards and projects to the Gallery Page. It is very easy to add your cards and you can add four at any one time. Or maybe the same card from different angles. You will need to tell us something about you and how you made the card such as size materials used and techniques you tried. And don't forget to add your name as anonymous entries will not be accepted. You will create your own page on the website and then your friends will be able to comment on what you do.